A suite of online courses offered through Kwantlen Polytechnic University (KPU). Program offered through the faculty of Continuing Education and Extension at Mount Royal University Niagara College and Kwantlen Polytechnic University (KPU) offers students skills and knowledge in the commercial production of cannabis. Students in this program will gain skills in the commercial cannabis sector. This resource has Residence Rules and Procedures for cannabis use. Although this doesn't explicitly mention cannabis or marijuana, Acadia's smoke-free policy is relevant. Includes links to relevant policies and a list of FAQs such as designated smoking areas and rules for employees. Includes updated Policies and Regulations section on cannabis use to come into effect after legalization in Canada (Section II.2, p. 8). With the legalization of cannabis to take effect in Canada on October 17, the Mount has updated relevant University policies and established new regulations where required. Includes updated Policies and Procedures section on cannabis use to come into effect after legalization in Canada. Relevant section are 6.8. PDF found on NSCAD University (NSCAD, 2009). Outlines the No Smoking policy for the NSCAD campus. Student information found in sections: 5.2 b, c, and j, and in section 6.1[ii & iii]). General Provision found in sections: 6.1, 6.2. Student Responsibilities found in section: 7.4. This policy includes cannabis smoking and provision for those with legally acquired medical cannabis. This policy covers provincial regulations, cannabis use on campus, and cannabis possession in residence. Relevant information under Definitions section "Smoking and Tobacco products." 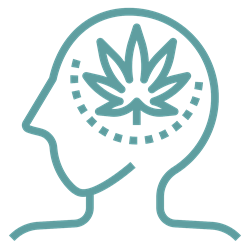 Created by the Mental Health Foundation and the NSEPP, this website covers the negative effects cannabis use can have on teenagers. This organization created a Student Drug Use Surveys (SDUS) Working Group and includes publications of student drug use. This is an interactive web survey for college and university students to receive feedback about their use of marijuana after entering information about their substance use patterns. University of Calgary - Legalized cannabis: what does it mean? This student targeted primer covers a wide variety of topics for cannabis legalization. Though developed for Ontario, the resources in this toolkit may be relevant for campuses in Nova Scotia. View PubMed results for student-related cannabis research. Macleans - Hazy Policies: How will Canadian universities handle legal marijuana?